The village Turčianske Kľačany is situated on the northern part of the Turiec at the right side of the Váh river on the foot of the southern slopes of the Malá Fatra (The Smaller Fatra) – its Kriváň´s part. The acreage of the terrier is 1125 ha. 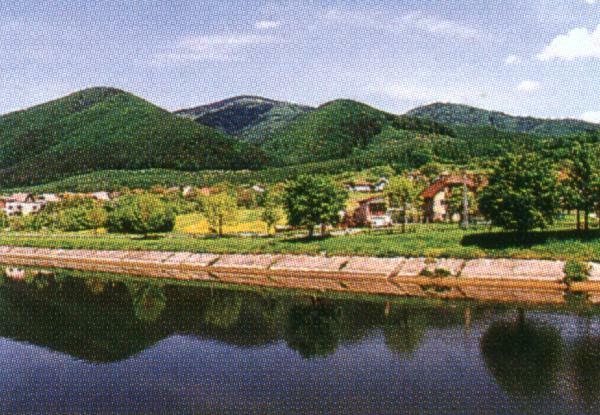 The highest point is Kľačianska Magura hill (1 375m above sea level), the lowest point at the Váh river (350m above sea level). The village midpoint lies 500m above sea level. The village counts 819 inhabitants nowadays and is situated in protective area of the Malá Fatra National Park, Kľačianska Magura hill is a nature reserve with acreage 150 ha which stretches to the terrier of Sučany and Lipovec villages, too. The first written mention originates from the 19th of July1374. Till the year 1946 the name of this village was Kľačany, only in this year the name was completed with Turčianske. One of the tourist lanes leads from the village – from the Turiec through Kľačianska Magura to the crests of the Malá Fatra. The village is situated near Vrútky and Martin, inhabitants of these towns visit the terrier of the village where they spend their leisure time with tourism, mushrooming and collecting woodland fruits. Thanks to neighbourhood of water areas you can go fishing. In the terrier of the village are 32 private recreational cottages (cabanas) and a tourist cottage at Kľačianska Magura hill (1375m). This cottage´s accomodation capacity is 45 beds. It is year-around especially for persons interested in wandering. Two ski-lifts belong to the cottage, one of them 200m and the other 600m in lenght. In addition to the tourist facilities in the terrier there are 3 other ski-lifts – two of them operate TJ Lokomotíva Vrútky and a 200m ski-lift operates Turčianske Kľačany. In the village there are three general stores and two taverns but there is not any accomodation unit. The village operates cultural house where are rooms of Municipal office and rooms of the Ekotrade company which produces sewage tanks for villas. Further operates fire station, sorrow house and village distillery. The elementary school (1st –4th class) is property of the village. It is nowadays rented to District school administration. There is a training place for dogs in the village and water areas at the frontiers of the village terrier which are used for fishing and water sports. In addition to fishing Turčianske Kľačany can offer some hunting experience because of occurence of deer, venisons and wild boars. In the last years there are more brown bears as usually. Therefore it can be they come to the village for some food.